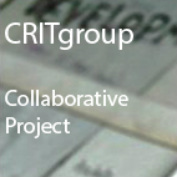 At the inaugural CRITgroup meeting in November 2011 the possibility of a collaborative project was raised. After one year of Creating, Reflecting, Investigating and Talking, we recently presented our first collaboration, Creative Whispers. We are interested in investigating the perceived differences between ‘art’ and ‘craft’, as this has been a feature of our conversations in several meetings. How does the apparent need to ‘label’ oneself as a particular kind of practitioner (a ‘photographer’, a ‘craft worker’, etc.) affect individual practices and how do those descriptions of discipline relate to differing methods of producing work? To get started, we are running three ‘mini projects’, which we will use to pin down and agree a clear research question to inform the next working stages of the project. The idea of these is that by introducing particular boundaries or criteria we will flush out key aspects of our respective practices, which will equip us in our collaborative investigations. The second project is titled Crafting by Committee. Crafting By Committee is a shorter, three session project taking us up to the end of 2013 in which each collaborator began by producing a brief project proposal, situated within their current practice. The rest of the group acted as a panel who, upon hearing the proposal, specified particular criteria for how the project must progress. The practitioner must then follow these instructions precisely and return to the panel with the outcome. The hope is that we can use these pieces to reflect upon how decision making within different practices can impact upon outcomes but also be an intrinsic part of the creative process. Again, these will be research pieces, starting points for potential development and pieces of work in their own right. > Artist to carry out described activity outside of workshop scenario and without participants. > Non-verbal communication only to be used in approaching members of the public. > Documentary must incorporate sound recording of feedback from those approached. > No textiles/fabric or stitching techniques to be used. > Pages to be made from hand-made paper or an alternative that requires a making process to be used and does not simply incorporate ‘raw’ recycled material. > Pages must be presented in a format that allows them to be re-ordered by the user. Committee Instructions: Make portraits of pieces of music with a camera. Committee Instructions: Produce a research stage prior to the proposed project in which one artist explores the concept of ‘Changing Economy’ and the other that of ‘Traditional Culture’. The outcome of the research may be in any format but must not directly reference China or architectural structures. Committee Instructions: Create a representation of the proposed subject matter (Manchester and Water) without using photographic processes (including digital/video).